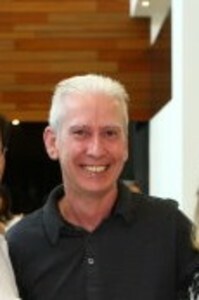 Kevin White is an artist and an Associate Professor of Art at RMIT. His porcelain vessels and their contemporary embellishment take inspiration from the elegance and technical skill of the East Asian ceramic tradition. His ceramic forms feature evocative hand-painted decoration with geometric planes of colour, lustrous gold finishes and intimate decal patterning. Kevin has also incorporated, in his most recent work, larger sweeping brushstrokes that pay homage to his experience living and working in China and Japan. His distinct signature of interpretation is clear, giving new life to the ceramic traditions and refracting ideas of Japonisme seen in British ceramics of the 19th century.